Ok...here is my dilemma. I am not a photographer and dont pretend to be one. I have an agent friend who I have done tours for but she has asked me if the Matterport does high res. pics...I say yes because thats what I was told when I bought the camera. I take the pics and send them to her but she says she needs 4MB...the pics are not even 1. How the heck do I resize it without it being 500 feet wide? Is there a solution or do I tell her she needs to get a photographer out to do the shots? 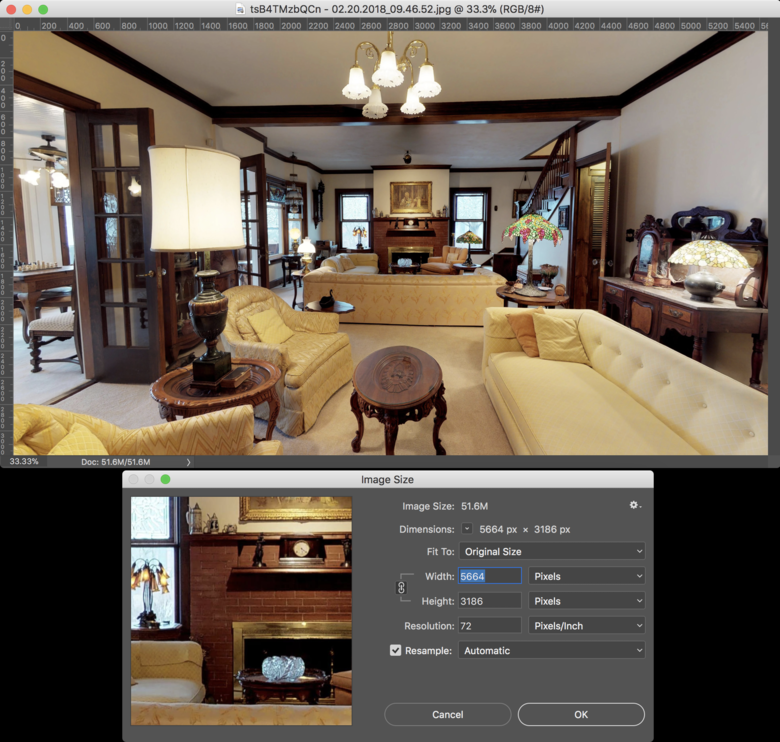 When I download Matterport pics they’re about 5mb from what I remember. They’re high resolution but I always have to fix the colors to make them a little more vivid. 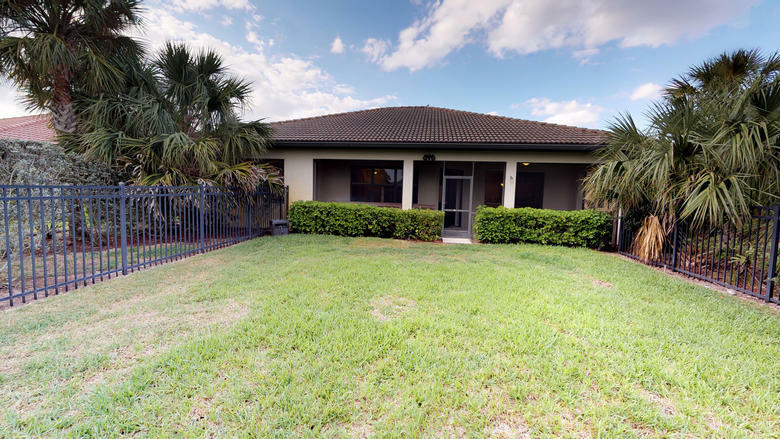 I’m a Realtor and there’s really no reason she can’t use the Matterport photos, I use them for all of my listings and they work well for MLS and print work. @JMortimer Unfortunately there is not a way to increase the resolution if you downloaded them at max. You will have to shoot with a DSLR and work on the photos in Photoshop and Lightroom. MP selling practices are very deceptive. I work on mine and make them acceptable for some of the Realtors, but the high end I alway shoot with my DSLR in addition to the MP tour. Enter the Showcase ID at the third line. The Showcase ID is ABCDEFG, enter ABCDEFG at the third line. You will see what you can get from JuMP-POP. But try account don't have JuCoin to spend. You can only login and see information. Our Panorama output is at the highest resolution. Provide your showcase link to JuMP and we can generate demo output for you. Normally the file size is around 8MB for each panorama at 16K x 8K resolution for Pro2 Camera. For Pro Camera the resolution is 8K x 4K or 4K x 2K for some very old Pro Camera's result. You can drop the Panorama output from JuMP-POP to PanoCheck.html and get screen shot at the highest resolution of monitor. Also there is way to level the Panorama within PanoCheck.html with compensation data at the bottom of JuMP-POP information page. So your screen shot from PanoCheck.html would be leveled. if you download them at max they are way bigger than you would ever need for anything. they are 5000+ pixels x 3000+ pixels. 1920 wide is the standard for web use and renders a 6.5" image @ 300 dpi for print use, way bigger than needed for real estate listing magazines and adequate for actual magazine use, except for the cover maybe. she does not need 4MP jpegs, they res up to much bigger when decompressed. @JMortimer Are you using a Pro1 or Pro2 camera? Huge difference in image quality/size there! This is a screen shot of a still I just downloaded from a recent Matterport scan using the Pro2 camera. Check out the file size...5664 x 3186px Image size 51.6megs. I always download them at full res. Never had an issue. I have to downsize them for delivery to the client. I don't shoot with a DSLR at all and use the quality of the images I get from the Matterport as a selling point. They don't need to hire a traditional photographer since I include the stills with my service. Usually a no-brainer decision for them. in my portrait work, and the images I get from the matterport are as good if not better in image quality as the ones I get from the Canon.